What's Up? The Space Place: UPDATED Philae Wakes Up!!!! UPDATE: The European Space Agency (ESA) initiates intense operational planning for the Rosetta mission as a result of Philae awakening. The little lander that could, Philae, has woke up after seven-months in hibernation on the surface of Comet 67P/Churyumov-Gerasimenko!! 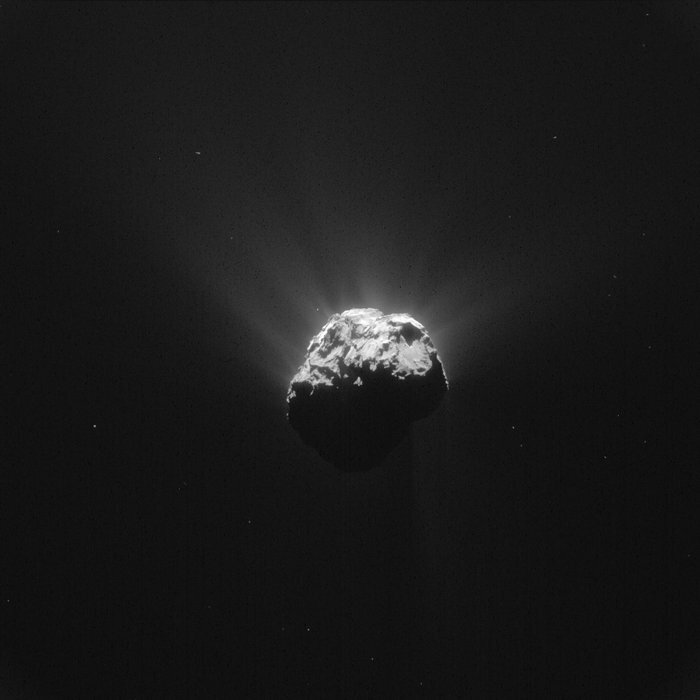 The mothership to Philae, Rosetta, has been listening for the lander since March 12th. The Twitterverse came alive with Tweets from Philae with thousands of replies and retweets. On June 13th the dishwasher sized 1st-ever cometary lander sent data to the European Space Agency's space operations center at 4:28 PM EST. This meant that the the plucky lander was getting enough sunlight on its solar cells to charge its batteries and phone home. The ESA team also discovered that there was data in Philae's memory from the past few days that will provide valuable information about recent conditions on the comet. Over the next few days the ESA Rosetta-Philae team will be checking out the lander and preparing it for data collection operations. Stay tuned for more Tweets and surprises from the surface of Comet 67P courtesy of Philae.